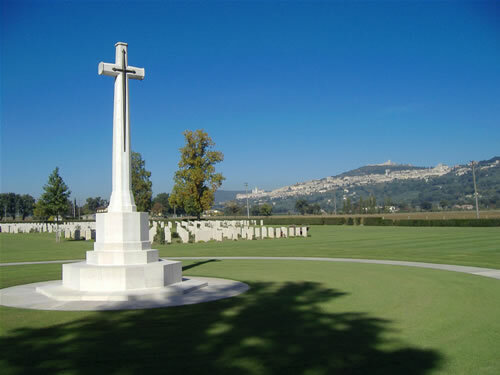 The Peace Through Valour Committee would like to thank the Commonwealth War Graves Commission for their help and support in identifying the names of the Canadian Soldiers buried in Italy and the cemeteries in which they rest. For a list of all soldiers buried in Italy please click here. The listing is an alphabetical list of cemeteries in Italy. Under each cemetery is an alphabetical list of all soldiers buried there. If you have a newer version of Word you can enter a name in the ‘search’ area at the top of the screen. For a pdf version of the above list, please click here. If you would like more information about the Commonwealth War Graves Commission please click here. Further search abilities are available on the CWGC web site.